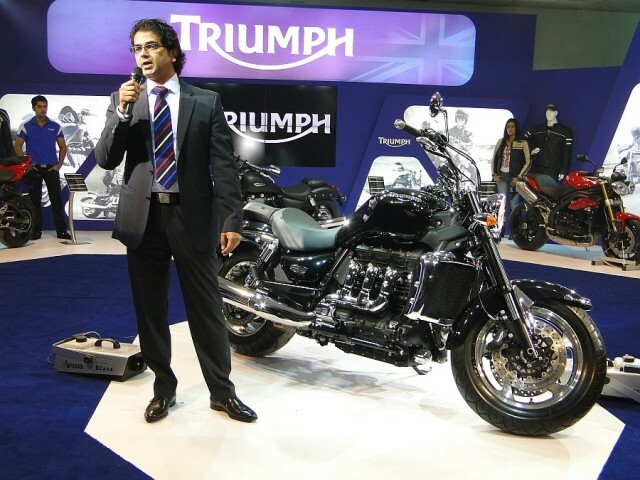 Triumph Motorcycles, will be launching their first ever motorcycle for Indian market in November 2013. The bikes were first officially showcased during Jan 2012 Auto Expo in Delhi and had planned to set up the manufacturing facility in Karnataka. However, as per the latest confirmation from our sources, the UK based bike manufacturer has set up an assembly facility in Manesar and will be assembling bikes there. The bikes will be priced apprx. in same range as announced during Auto Expo and will compete with Harley Davidson, Aprilia, Hyosung and other sports bikes currently prevelant in India.